Birding Is Fun! : NestCams - All the Rage! Hollywood writers are baffled, along with all of the entertainment media establishment. Who are these consumers that sit in front of screens for hours on end watching barely anything happen - with often terrible resolution and poor sound quality? How is it that they get so excited about the most simple dramas? Why are they compelled to check in throughout the day, cheating their bosses out of time and precious bandwidth? How can something be so popular that seems to violate every requirement of popularity? Who are these strange, strange people?! This surprisingly addictive phenomenon seems to be increasing each year with new web cams being pointed at a variety of bird nests and other wildlife around the world. This streaming real time video seems to capture the interest of all demographics too. There are more and more corporate and charitable sponsors for these nestcams each year. Weird! And kind of encouraging too. It just goes to show that nature is still compelling, even in real time. It doesn't have to be edited down to a highlight reel crammed into an hour nature program on public television; though highlight clips of the nestcams are available too! The sheer number of viewers and the tone in the chat room discussions reveal that people are passionate and deeply engaged in the minute by minute episodes portrayed on their screens. Nothing can compete with the excitement of when an egg is laid, or when it finally hatches. There is gore and violence when the parent bird brings in a fresh kill. There is occasional tragedy when a predator attacks the eggs or hatchlings, or when a young bird falls out of the nest or off a building. Scintillating stuff! This new form of entertainment is not without its challenges. Some nestcam watchers get emotionally involved with these wild animals as if they were pets. When the brutal reality of nature plays out before their very eyes it can be gruesome and hard to accept. At times viewers demand human intervention to save their favorite. Sometimes they get their wish and sometimes they don't. The public relations for wildlife causes from these webcams is good and far outweighs the issues resulting from viewer dramas. Over time, I think that nestcam watchers will better be able to manage their own expectations and emotions as they come to appreciate the awesomeness of the great circle of life, in all its forms. My personal introduction to the the world of nestcam watching came from the Peregrine Falcon webcam in Boise, Idaho. It was fun to show my kids and they plugged right into it. Now that I live in Utah, the Salt Lake Peregrine Falcon nestcam begs me to check in now and then too. There are hummingbird nest cams and even zoo cams. The Decorah Bald Eagles seem to have gotten the most media attention, and for good reason. Just do an internet search for nestcams and you'll find dozens of links from around the world and probably even for a city near you. I love to watch nest cams because we can get such intimate views of wildlife without disturbing or disrupting their natural behavior. Love the post, Robert. Watching nest cams can be very exciting and they let us learn and understand the nesting behavior of some of our wonderful birds! Great post! Nest cams are pretty awesome things! 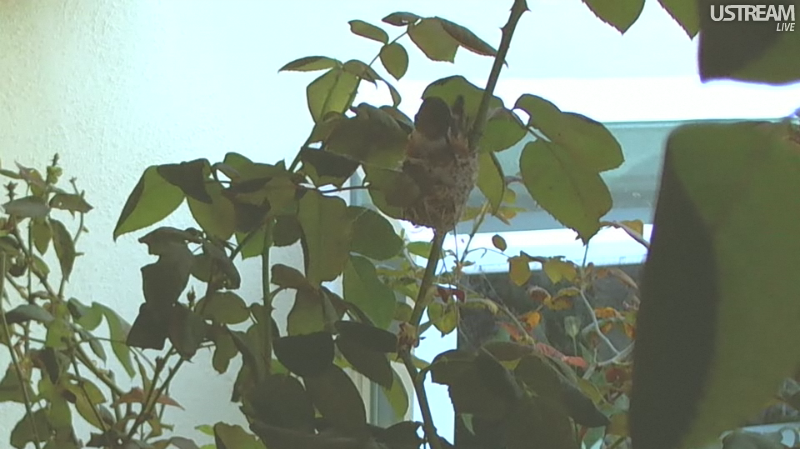 I'm one of those people who can spend a great deal of time watching nest cams. I first became hooked watching a hummingbird cam a couple of years ago. They are great tools in observing bird behavior.